“We are cautiously optimistic that the work that has begun in Prospect to address the brown water will rectify the situation,” Shadow Minister of Public Works Dennis Lister said today. 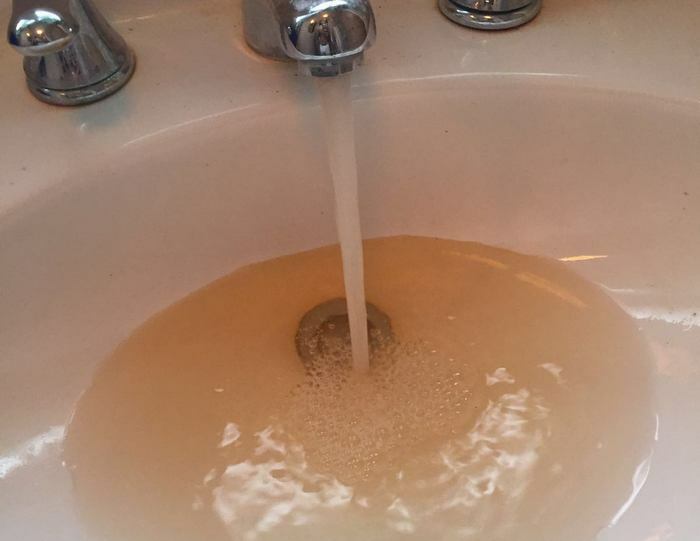 Mr Lister said, “Time will tell if this will solve the issue and the residents will be able to drink, cook with, and bathe with this water without having to be concerned with the safety. We hope that this is not a Band-Aid approach, but rather a substantive one. “It is unfortunate that it took media headlines and social media to force the Government into acting to resolve this issue. Clean water should be provided without question, and for the Minister to issue reckless and careless comments about the water, showed clearly a lack of concern for the residents of Cedar Park and Prospect. “There has been a distinct lack of communication between the Government and the residents, and as this work begins, we call on the Government to ensure the residents are kept in the loop as to what is going on. “The health and safety of the community should never be compromised, especially not for political gain. No members of the community should be forced to drink brown water, and be told by the Minister that it is clean and healthy and ok to drink. “While we are glad that the work has begun to resolve this matter, it is unfortunate that the Minister of Public Works handled it in this manner. We will continue to monitor the situation with the residents to ensure they are satisfied with the fixes being implemented by Government,” concluded Mr Lister. No, that problem wasn’t the cause of The One Bermuda Alliance negligence, it existed will into the Progress Labour Party ruling as well. So why must they keep attempting to blame O.B.A. for their shortcomings? This statement is true, that it should have just been dealt with, but they make it seem like it is only the OBA that did not act. Apparently this has been an issue for years so why blame just the OBA? PLP did nothing about this either and now that the OBA is “fixing” it they will attempt to take the credit for this. Absolutely insane! It actually stretches back to the UBP days. Whats unfortunate is that the problem existed before he was Minister and nothing was done. If you are not part of the solution, Lister you were likely part of the problem. You guys knew about it, don’t act like you didn’t just because you aren’t in power. @ So: As we lot would say, “ain’t dat de truff”?